Train with renowned instructors such as Paco Gonzalez and Kim Forteza. With the Bkool Simulator you can train in a velodrome, ride along outdoor routes or compete in leagues and challenges. Motorized magnetic brake. Frictionless permanent magnet system. The Smart Bike is the new jewel from Bkool and stands out for its realistic riding simulation! 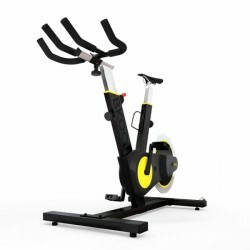 This indoor bike is connected to the Internet and does not require any type of control element or screen. Just connect your smartphone or tablet with the Smart Bike and easily control your bike through the device. TheSmart Bike is made of the highest quality materials and offers superb stability, even during the most demanding training sessions. Thanks to its especially silent mechanics, you can comfortably train at home. Using a quick physical fitness test you can customize the resistance settings so theSmart Bike will be perfectly adapted to your training objectives, helping you to achieve your targets. The extended selection of training sessions offers you optimal and varied options to plan individual training. Select the route you prefer or enjoy a new racing experience with video and 3D routes on your TV. Thanks to its robust technology and precise resistance regulation, it can simulate any type of terrain. TheSmart Bike can simulate up to 1,500 different resistance levels and offers you the best riding experience. With its ERG mode, the Smart Bike can maintain preselected power and time training settings constant. In addition, the bike has a virtual gear shift, offering maximum precision thanks to the electronic system. The indoor bike is compatible with iOS, Android and Windows, and comes equipped with a support for smartphones. That way you can freely select the device and start training. In addition, the bike comes with Bluetooth Smart and ANT+. Thanks to the integrated sensors you can see your exact speed, power and cadence data. Achieve improved results with specialized sessions and real-time statistics. With theBkool Smart Bike you can reach new goals! 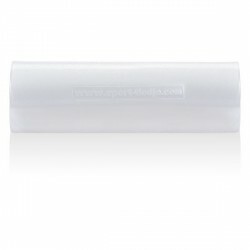 Transparent protective mat In stock! Bkool Smart Bike add to comparison list.